In the wake of an extremely questionable split-decision loss to current Welterweight kingpin Robbie Lawler, “The Natural Born Killer” Carlos Condit, announced that he was likely going to retire from the sport unless granted an immediate rematch. One of the most seasoned, battle hardened and exciting fighters to ever compete at 170 pounds, Condit just felt that the title was the last accolade he needed to find satisfaction in his already lauded career. Apparently, coming so close to those 12 pounds of gold has given Condit the fire he needed to return to the sport, as he meets Brazilian jiu-jitsu maestro Damien Maia in what will surely end up a #1 contender’s match. Maia finds himself on an impressive 5 fight tear with wins over top 10 fighters Neil Magney, Matt Brown and Gunnar Nelson. While many fans are happy for the return of the sport’s most dynamic finisher, many are disappointed that Condit will not make his return against the infamous Nick Diaz. The two fought to a contentious decision of their own over George St. Pierre’s interim title belt back in 2011. Conor McGregor took some time out of his training schedule to help his long-time friend and coach John Kavanaugh of SBG Ireland promote his book. 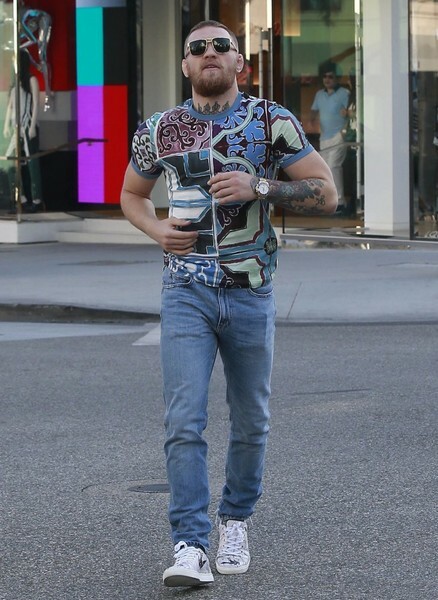 At a recent media obligation, McGregor assured a packed house that his time spent working his boxing with several Irish Olympic hopefuls, as well as world renowned jiu jitsu black-belt Dillion Danis, was translating beautifully. So beautifully, it seems, that McGregor assured the crowd that he would “toy” with Diaz in the rematch. Those who remember the initial fight should recall the Irishman having great success in the early goings of the fight, blasting the ultra-tough Diaz and blooding his eye with that crisp left hand. That said, Diaz’s superhuman chin and remarkable boxing began to take a toll on the Irish striking specialist, as Diaz’s famous 1-2 and infamous “Stockton slap” started to steal the steam from the proud Dublin product. Before half-way through the second round, Nate was rocking Conor with clean punches, before sprawling on a desperate McGregor takedown and forcing the Irishman to tap to a rear-naked choke. The two will rematch at UFC 202 in August. 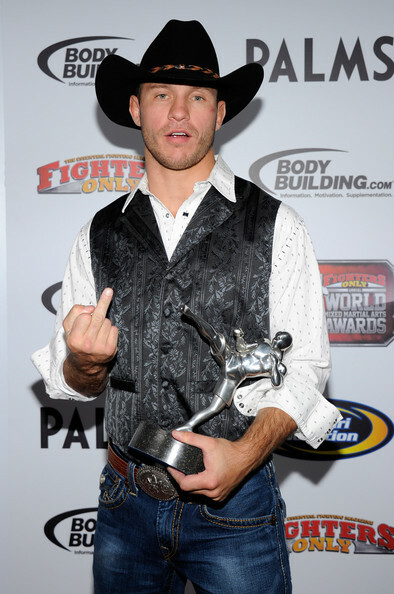 Donald “Cowboy” Cerrone has head-kicked his way into the hearts of fans around the world with his easy-going humor, unparalleled work rate (fighting sometimes up to six fights a year) and willingness to genuinely fight anywhere, anyone and anytime. The Budweiser and fisticuffs enthusiast recently moved up to welterweight after a crushing defeat for the Lightweight Title at the hands of current champion Rafael Dos Anjos. While many would look to drop down a weight-class for a perceived advantage in strength, Cerrone has elected to give his body a break from the weight-cut to lightweight and see where it takes him. So far, it’s taken him to a two fight winning streak, as well as becoming the first man ever to finish long-time veteran Patrick “The Predator” Cote with strikes. Now, MMA’s favorite gun-slinging, cowboy hat wearing, lip-packing scrapper will face off against his stiffest test yet at Welterweight, battling bruising wrestler Rick “The Horror” Story at UFC 202. Undeniably the two most powerful punchers in the light-heavyweight division, knockout artists Glover Teixeria and Anthony “Rumble” Johnson have agreed to fight at UFC 202 as well. Two of the sports premier power-punchers, very few fans or pundits alike see this fight going past the first round. Anthony Johnson has knocked out his fair share of superstars, most notably dispatching former title contender Alexander Gustaffson with relative ease before losing his next effort in a title fight to current “champion” Daniel Cormier. He rebounded by starching British bomber Jimi Manuwa and TUF winner Ryan Bader back to back. Meanwhile, Teixeria fell at the hands of the illustrious Jon Jones, but also bounced back in impressive fashion, finishing Ovince St. Preuix, Patrick Cummins and former champion Rashad Evans in a row. Will Raczkowski is a graduate of Bridgewater State University and UMass Boston, with degrees in American History and Corporate Communications. A lifelong athlete, Will discovered mixed martial arts while looking for something to fill the hole left after deciding not to pursue college football. He has trained with some of the top teams in New England, as well as some of the top fighters, and has spent the past 6 years dedicating himself to becoming as knowledgeable as possible about the sport. He has cornered and coached multiple fighters on the local level and currently serves on the coaching staff for Team EVT in Boston, MA. He also once crushed beers with Forrest Griffin, so you could say he’s pretty legit. Outside of pugilistic pursuits, Raczkowski enjoys film, music and forcing his political ideologies on people via social media. He also works with Regional Fight Sports out of Rhode Island, a non profit dedicated to bringing scholarships to young fighters pursuing a college degree without the possibility of NCAA scholarship.